Potsdam – Sanssouci. Denkmal Friedrichs des Grossen vor der Orangerie. One black and white postcard with a divided back. 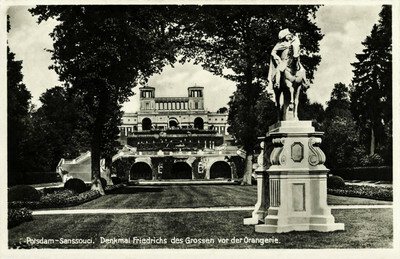 The postcard was published by and features a photo by Max Hochgeladen in Potsdam.